"I was stunned at the results and the level of craftsmanship and artistry that Ground Effects brought to this modest job. I had actually pondered doing the job myself and now I just chuckle at my naiveté. The sight lines, edging, selection of materials, and colors were all beautifully integrated. We are absolutely delighted with the results of this job and with the entire experience from the initial survey to the final installation. Ground Effects is a superb company!" 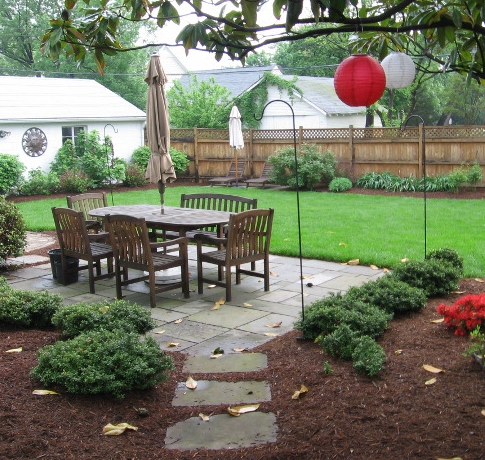 Patios constitute an important aspect of landscapes when they create an outdoor living space for entertaining or relaxation. Whether your project requires a large driveway, entrance or private sitting area, Ground Effects professionally installs patio hardscapes, including concrete pavers and natural stone. 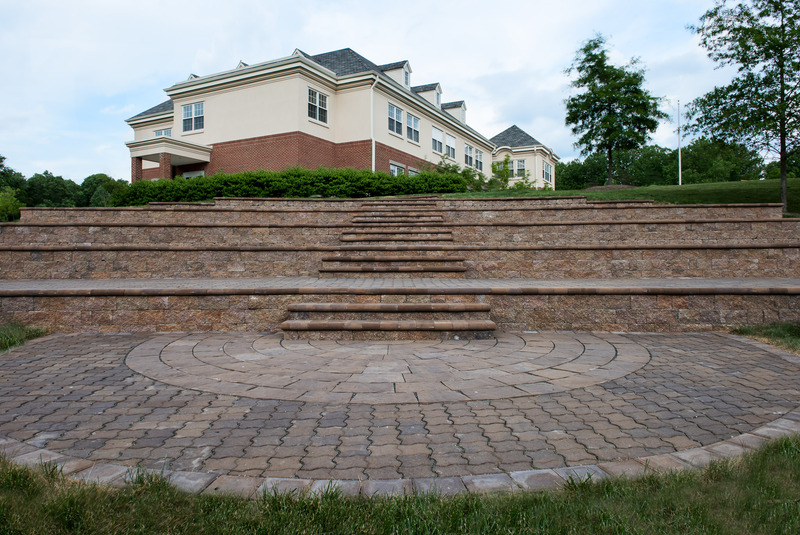 Through creatively designed patios connected by steps or pathways throughout your property, Ground Effects expands the use of and enjoyment of your property. 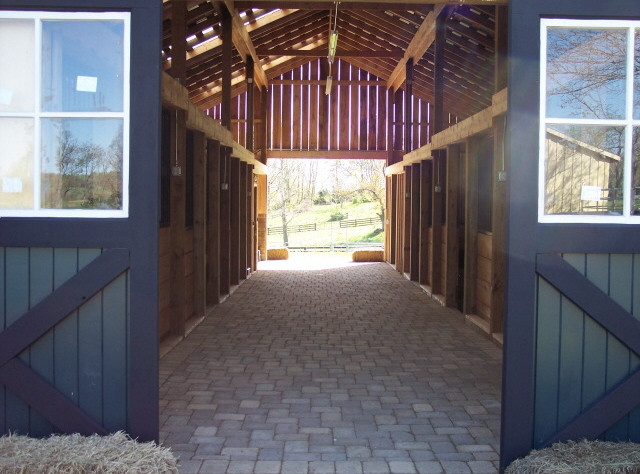 The use of interlocking or concrete pavers is the most popular option and will undoubtedly enhance any residence. 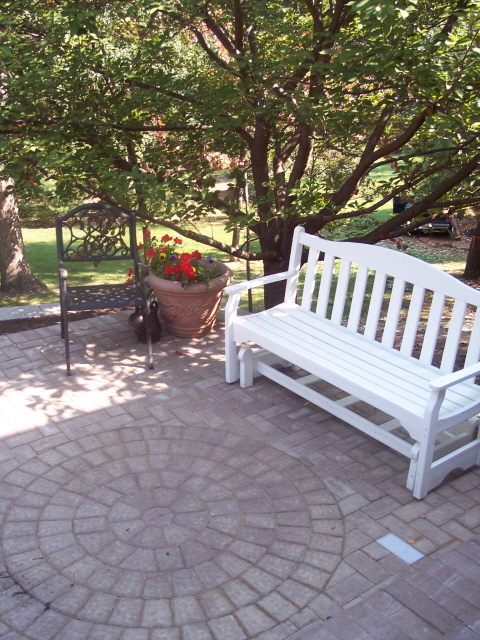 Its versatility and beauty provide a structural surface to meet the requirement of any patio project. Our installers have been certified by the Interlocking Concrete Pavement Institute to guarantee you receive long-lasting professional results. We use only the best products, tools, and technology and we continue to grow in our achievements in the realm of patio design and installation. 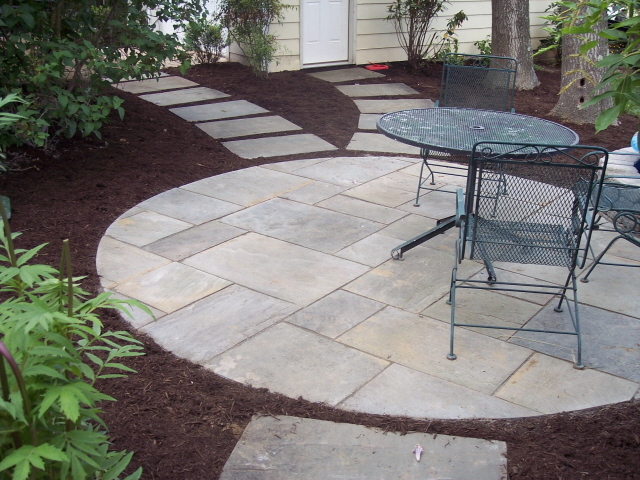 Patios created using natural flagstone exude a very rustic and comforting feeling while bringing a beautiful aesthetic to your garden experience. Whether cut or irregular, our dry-set bluestone patios are professionally installed to be beautiful and maintenance free.